How to manage your company records and documents is a question that every business must answer. 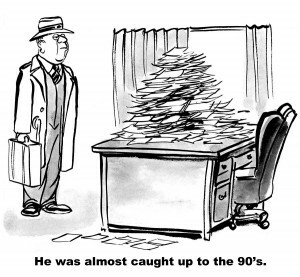 In the past, there was only one answer—traditional paper-based filing systems. Unfortunately paper document management systems involve using management tools like filing cabinets, drawers, folders, and shelves, which consume precious resources like time for maintenance and space for storage. 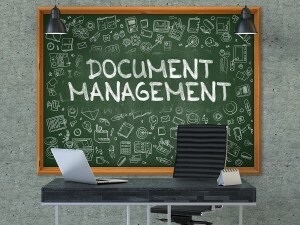 Today modern technology has brought new innovation to document management practices—ranging from electronic document management systems and software to the use of cloud-based storage, allowing the document that once could only be accessed by employees in a single location to now be efficiently used and shared from anywhere with a secure internet connection. 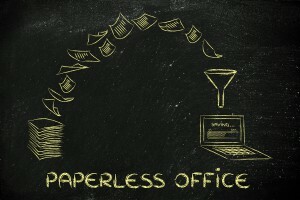 Exponentially simplifying the process of storing and managing documents, the paperless office can now be effectively run using only a chair to sit in, a desk to work at, and a computer to work from. In this article, we explain how your company’s record management system can be improved using electronic document management systems (EDMS), and just how great an impact a paperless office can make on how you manage or store your records in the future. 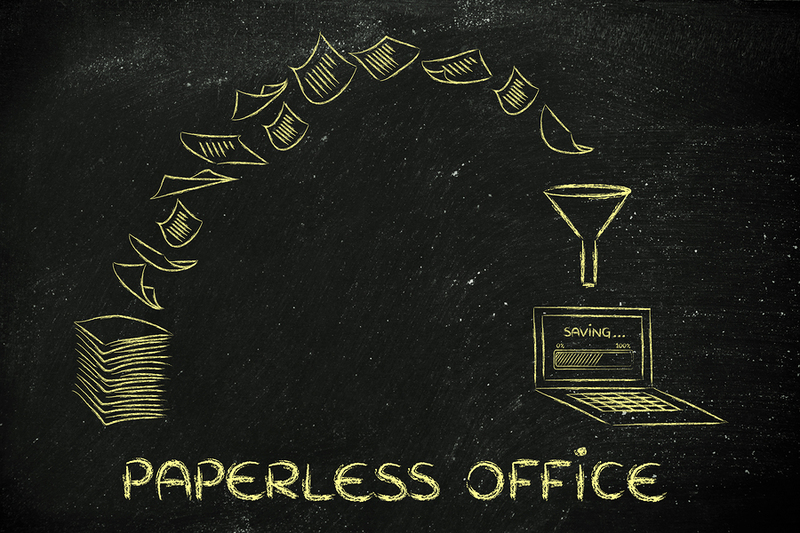 As its name implies, the “paperless office” is a work environment in which the use of paper is either drastically reduced or eliminated altogether. Beside being able to call your company environmentally friendly, making the digital conversion to electronic document management systems helps businesses to lower record management costs, improve work efficiency, distribute and access company documents with ease, and save the space that would otherwise be wasted on filing cabinets and drawers. The key to unlocking the paperless office for your business, document scanning services allow you to make digital copies of paper documents. Taking up far less space in electronic formats, scanning records enables companies to streamline their use of business documents both new and old. Legacy media formats can be scanned, converted, and archived within an EDMS, meaning that for hospitals or doctor’s offices, old health records in microfilm and microfiche can still be kept even after making the conversion to a paperless office. Even traditionally paper-based businesses like law firms—which in the past had no other option for managing legal contracts and other documents—now have the option of scanning their record archives and instead managing them electronically with an EDMS. Today, document management software for law practices allows a record inventory containing hundreds of thousands of files to be easily indexed and searched—saving both money as well as time for the business. Once your business does make the decision to make the transition to go paperless and adopt an EDMS, it’s also important you develop and implement what is called a day forward scanning strategy. With day forward scanning, you scan, index, and store your records as they are created—allowing your business to manage them digitally using an EDMS. By continuing to routinely scan and archive these new documents, this helps to ensure your record inventory is always updated and available to your employees that need access. On average, office employees use approximately 10,000 sheets of paper during the course of a single year (United States EPA). 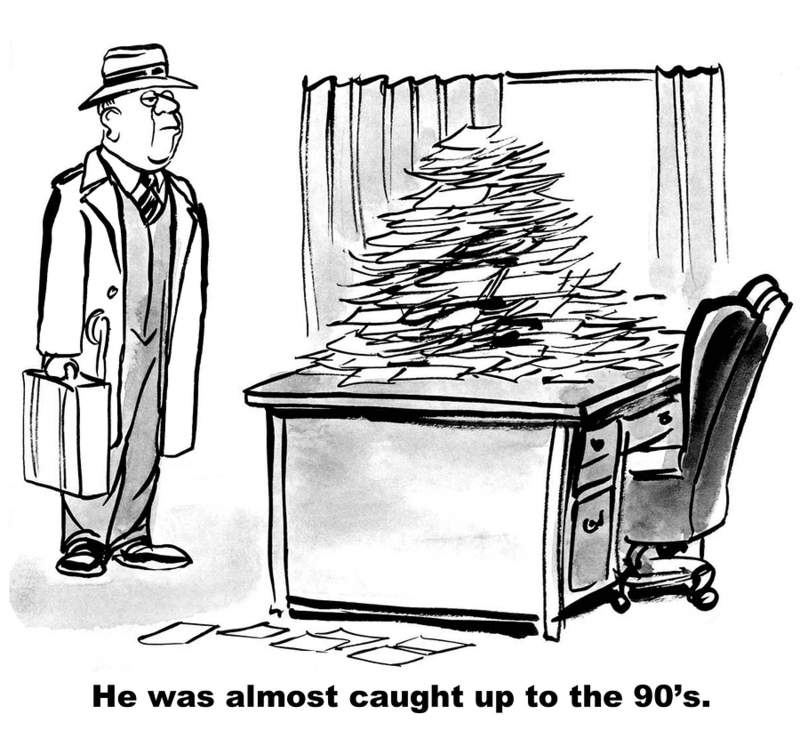 In a given day, employees in United States offices create around two pounds of paper documents (United States EPA). In one year, enough paper has been discarded to build a 12” wall of documents stretching from California all the way to New York (University of Colorado). Making the conversion to a paperless office and electronic document management systems has drastically altered the way that companies manage and store their records. Whereas before traditional paper-based document management systems presented questions like how to meaningfully search, arrange, and sort through company records, a paperless EDMS is able to provide companies with an answer. When multiple copies of the same paper document are distributed throughout an office, their location and any updates you make to them are difficult and often expensive to track, but using an EDMS, this information is managed automatically. Beside easy document indexing and tracking, electronic document management systems offer other benefits that have changed how businesses manage their records. Today, employees who travel or work from out of the office are able to remotely access and send company documents using cloud-based storage systems. Companies are also much better protected and prepared for potential disaster, as electronic data backup services allow companies to create an emergency plan in the event of an unfortunate data debacle. As the concept of the paperless office creeps closer to becoming a reality for the modern business, the question for companies now becomes, with so many benefits and improvements to how you can manage and store documents, why not start making the transition today? Get Free Quotes on Scanning and Electronic Document Management Services in Your Area! If you’re considering making the technological leap and scanning your company record inventory in order to implement an electronic document management system, Record Nations can help to make your conversion simple and stress-free. We specialize in connecting customers with a network of the top providers for document scanning and storage system services, ranging from legacy media conversions and day forward scanning services all the way to document management systems in both paper and digital formats. To get started with scanning services or an electronic document management system for your business, just give us a call at (866) 385-3706, or simply fill out the form to your right to get free quotes on any of our available services today! The Beginner’s Guide to Improving Your Record Management System: No matter its size or shape, every business must develop a method for systematically organizing and managing company records. This in-depth white paper covers record management systems from beginning to end, with information on what document management systems are, the problems poor record management can cause, and tips for improving your own RMS. Streamline Your Business With Electronic Document Management Systems (EDMS): Once you scan and convert your business records to a digital format, the next question to ask yourself is how will you manage your new electronic documents. Use this article to learn more about how an electronic document management system can help to streamline your work efficiency while still remaining cost-effective. Pricing Out a Scanning Project for Your Business: Document scanning has changed the way that companies are able to store, manage, and access their business records. With this guide and supplemental collection of helpful articles, we break down the document scanning process, estimating the price of a scanning project, and even provide information on how to manage your documents once they’re scanned.